How incredible is this? 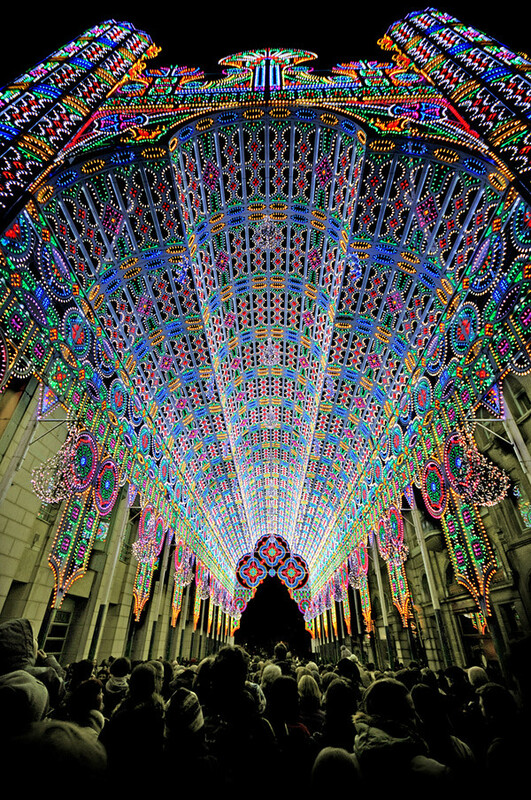 It's called the Luminarie de Cagna and it is a huge cathedral-like structure, over 90 feet high, made out of 55,000 LED lights. 55,000! 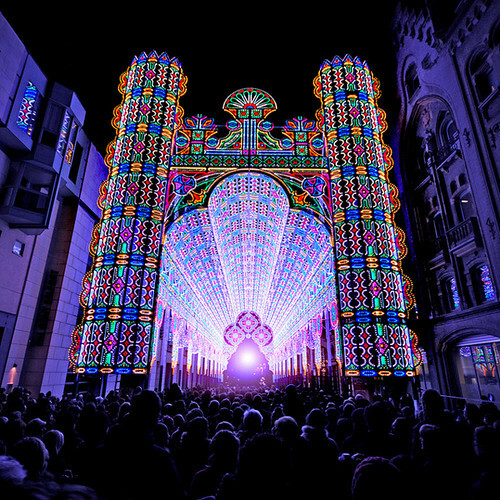 It was created as part of the 2012 Light Festival held in Ghent, Belgium at the end of January. 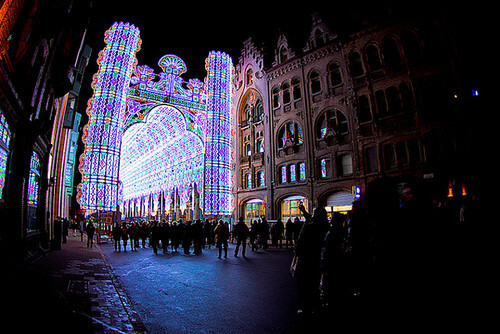 And it is affirming my belief that all of the coolest art installations happen in Europe (like this and this). Don't have a planner yet (me neither!)? This Etsy store has some amazing (and practical) designs. The branding for this company is perfect. I made my own version of this cool necklace and am totally in love. Sally is brilliant! 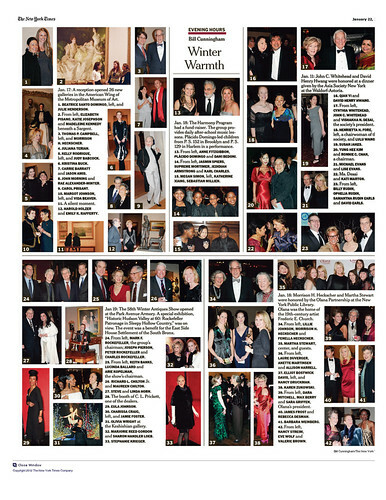 As you know, I am graphic design geek and am a big fan of George Lois. These remind me why! I am contemplating hanging one of these in front of my white bookcases. What do you think? Escalators are not just for riding! These are too beautiful to be purely utilitarian. This gorgeous video reminds me much how spectacular our country's natural wonders are. And how much I want to go visit them! What are you up to for the next couple days? I have a fun dinner date with my hubby-to-be to celebrate VDay and afterwards we are going to watch the best movie of all time. Hope you have something fun planned too!